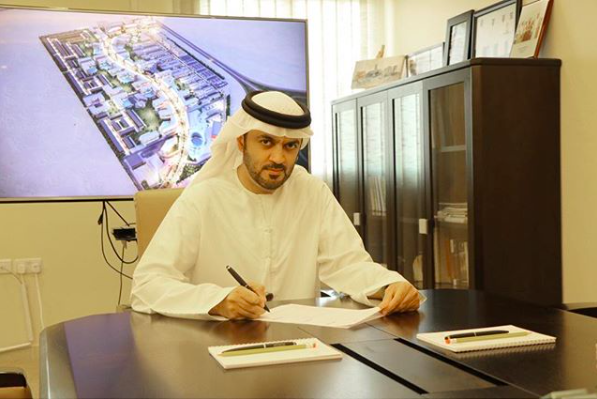 HE Dr. Khalid Omar Al Midfa, Chairman of Sharjah Media City (Shams), signed on January 18, 2018, a document that announces Shams as a part of the Global Network for Age-Friendly Cities and Communities. The emirate of Sharjah joined the network in September 2017 as per the directives of His Highness Dr. Shaikh Sultan Bin Mohammad Al Qasimi, Supreme Council Member and Ruler of Sharjah, that Sharjah an ideal age-friendly environment. His Highness also instructed that the residents of the emirate should enjoy the best services, programs and infrastructure that will provide them with well-being as they reach a safe and content old age.